Extreme magnetic fields in space are said to be caused by the high-speed rotation of neutron stars. One of many cases where a theory is built on the incorrect assumptions of another theory. Several Picture of the Day articles have addressed the problem of neutron stars and how they affect the progress of astronomical investigation. According to electric star theory, neutron stars belong in the same category with invisible pink unicorns. Deficits in gravity-only cosmology made the neutron star hypothesis necessary in order to defend gravity's ostensibly endless powers. Neutron stars were proposed as the answer to pulsar behavior. Pulsars are stars whose brightness fluctuates over a short period of time. 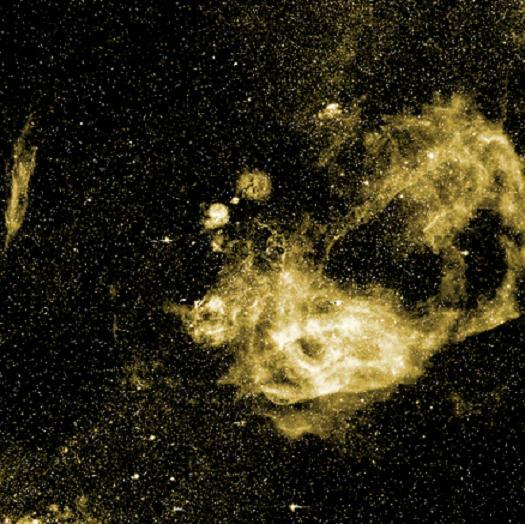 Pulsars are important to astrophysical models because they are used as measuring tools. Those with "known" distance, coupled with variations in their luminosity, are thought to be road markers in space, so that the distances of other stars with similar characteristics can be determined. Pulsars are described as "light houses" with beams of energy concentrated at specific points. Consensus gravitational theory demands that any new information conform to the tenets of the theory rather than the other way around, so a rotational mechanism was proposed for the pulsations. When the spin of a pulsar brings its beam inline with telescopes on Earth, a flash of light is visible. However, when the rotation rates of some pulsars were measured at once per second or less (even with many times the mass of our Sun), "neutron stars" were fabricated. Only a super dense material like neutronium was thought able to withstand those rotational speeds. Neutronium is a hypothetical material that has had all of its electrons smashed down into the nuclei, where the protons and electrons combine into neutrons. "Magnetars" are anomalous stars identified as x-ray pulsars (AXP) or soft gamma repeaters (SGR). They are said to be created by neutron stars with magnetic fields measuring over 10^15 Gauss. For comparison, the Earth's magnetic field is about one-half Gauss, so these "magnetic pulsars" are surprisingly powerful sources. 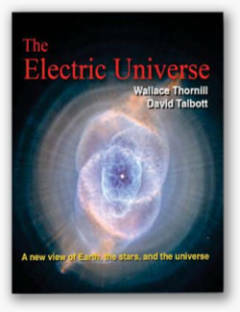 It must be stressed, though, that the evidence is indirect and no neutron star has ever been observed. 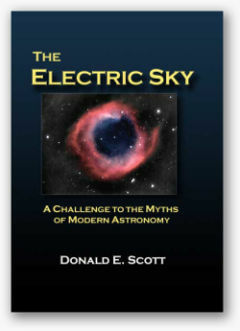 Don Scott, author of The Electric Sky, recently wrote: "The 'neutron star' is simply yet another fantasy conjured up, this time, in order to avoid confronting the idea that pulsar discharges are electrical phenomena. 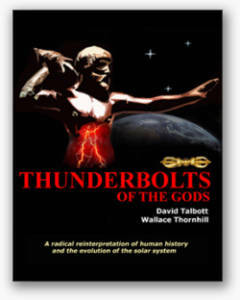 A nucleus or charge free atom made up of only neutrons has never been synthesized in any laboratory nor can it ever be. In fact, a web search on the word 'neutronium' will produce only references to a computer game—not to any real, scientific discussion or description. Lone neutrons decay into proton/electron pairs in less than 14 minutes; atom-like collections of two or more neutrons will fly apart almost instantaneously." It seems more likely that we are witnessing in magnetars an immense concentration of electricity being focused by some kind of "plasma gun." As the current flows through clouds of dusty plasma it concentrates forces because of the Biot-Savart effect, drawing itself together and forming helical zones of immense compression known as "z-pinches" or "Bennett pinches." Stars form in the compression zones, and depending on how much current is flowing through the circuit the star's magnetic field will be greater where there is more current.